Linux has taken the world by storm as being the most adaptable and customization friendly operating systems in the software scene. Buy a single copy or subscription to Linux magazine. Many users prefer Linux to the Windows operating system and Mac due to its versatility in properly conducting software that occurs between both the more popular operating systems. It treats users and lovers of this innovative software by bringing you the most convincing discussions about the entire Linux enterprise and other informational technology related topics. For anyone who has an interest in computing and finding solutions to all their software problems, Linux magazine proudly holds all of the answers that you would be looking for. 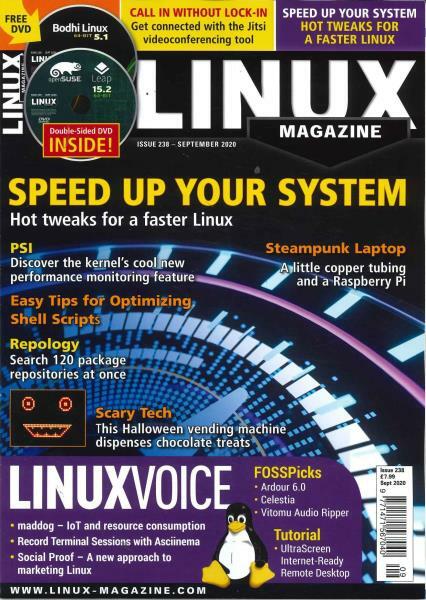 Each issue of Linux magazine contains various reports and the latest news regarding Linux software and computer optimization, bringing you the latest tips and techniques for developing your personal computer into the most powerful system that it can be.